For the English fashion designer, see Andrew Groves. 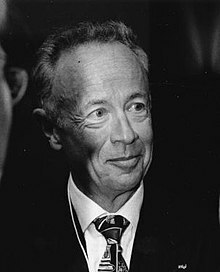 Andrew Stephen 'Andy' Grove (born András István Gróf; 2 September 1936 – 21 March 2016) was a Hungarian-born American businessman, engineer, author and a pioneer in the semiconductor industry. He escaped from Communist-controlled Hungary at the age of 20 and moved to the United States where he finished his education. He was one of the founders and the CEO of Intel, helping transform the company into the world's largest manufacturer of semiconductors. As a result of his work at Intel, along with his books and professional articles, Grove had a considerable influence on electronics manufacturing industries worldwide. He has been called the "guy who drove the growth phase" of Silicon Valley. In 1997, Time magazine chose him as "Man of the Year", for being "the person most responsible for the amazing growth in the power and the innovative potential of microchips." One source notes that by his accomplishments at Intel alone, he "merits a place alongside the great business leaders of the 20th century." In 2000, he was diagnosed with Parkinson's disease; he became a contributor to several foundations that sponsor research towards a cure. He died at his home on March 21, 2016; the cause of death was unspecified. Grove was born to a middle-class Jewish family in Budapest, Hungary, the son of Maria and George Gróf. At the age of four he contracted scarlet fever, which was nearly fatal and caused partial hearing loss. When he was eight, the Nazis occupied Hungary and deported nearly 500,000 Jews to concentration camps, including Auschwitz. Its commandant, Rudolf Höss, said at his trial that he killed 400,000 Hungarian Jews in three months. To avoid being arrested, Grove and his mother took on false identities and were sheltered by friends. His father, however, was arrested and taken to an Eastern Labor Camp to do forced labor, and was reunited with his family only after the war. By the time I was twenty, I had lived through a Hungarian Fascist dictatorship, German military occupation, the Nazis' "Final Solution," the siege of Budapest by the Soviet Red Army, a period of chaotic democracy in the years immediately after the war, a variety of repressive Communist regimes, and a popular uprising that was put down at gunpoint... [where] many young people were killed; countless others were interned. Some two hundred thousand Hungarians escaped to the West. I was one of them. Soon after arriving in the United States, in New York, in 1957, he met his future wife, Eva Kastan, who was a fellow refugee. They met while he held a job as a busboy and she was a waitress. They married in June 1958 and remained married until his death. They had two daughters, Karen Grove and Robie Spector, and eight grandchildren. Even though he arrived in the United States with little money, Grove retained a "passion for learning." He earned a bachelor's degree in chemical engineering from the City College of New York in 1960, followed by a Ph.D. in chemical engineering from the University of California, Berkeley in 1963. When I came to Intel, I was scared to death. I left a very secure job where I knew what I was doing and started running R&D for a brand new venture in untried territory. It was terrifying. After completing his Ph.D. in 1963, Grove worked at Fairchild Semiconductor as a researcher, and by 1967 had become its assistant director of development. His work there made him familiar with the early development of integrated circuits, which would lead to the "microcomputer revolution" in the 1970s. In 1967, he wrote a college textbook on the subject, Physics and Technology of Semiconductor Devices. In 1968, Robert Noyce and Gordon Moore co-founded Intel, after they and Grove left Fairchild Semiconductor. Grove joined on the day of its incorporation, although was not a founder according to the company. Fellow Hungarian émigré Leslie L. Vadász was Intel's fourth employee. Grove worked initially as the company's director of engineering, and helped get its early manufacturing operations started. In 1983, he wrote a book, High Output Management, in which he described many of his methods and manufacturing concepts. Initially, Intel primarily manufactured dynamic memory chips, DRAMs. By 1985, with less demand for their memory, production problems, and the challenges created by Japanese "dumping" of memory chips at below-cost prices, Grove was forced to make radical changes. As a result, he chose to discontinue producing DRAMs and focus instead on manufacturing microprocessors. Grove played a key role in negotiating with IBM to use only Intel microprocessors in all their new personal computers. In various bits and pieces, we have steered Intel from a start-up to one of the central companies of the information economy. Grove is credited with having transformed Intel from a manufacturer of memory chips into one of the world's dominant producers of microprocessors. During his tenure as CEO, Grove oversaw a 4,500% increase in Intel's market capitalization from $4 billion to $197 billion, making it the world's 7th largest company, with 64,000 employees. Most of the company's profits were reinvested in research and development, along with building new facilities, in order to produce improved and faster microprocessors. Probably no one person has had a greater influence in shaping Intel, Silicon Valley, and all we think about today in the technology world than Andy Grove. As director of operations, manufacturing became Grove's primary focus and his management style relied heavily on his management concepts. As the company expanded and he was appointed chairman, he became more involved in strategic decision-making, including establishing markets for new products, coordinating manufacturing processes and developing new partnerships with smaller companies. Grove helped create the Intel Architecture Laboratory (IAL) in Oregon to ensure that software was developed in time to take advantage of their new microprocessors. Grove stated that "you are making decisions about what the information technology world will want five years into the future ..." He created a culture within Intel that allowed innovation to flourish. As CEO, he wanted his managers to always encourage experimentation and prepare for changes, making a case for the value of paranoia in business. He became known for his guiding motto: "Only the paranoid survive," and wrote a management book with the same title. Intel Senior Vice President Ron Whittier notes that Grove preferred to keep open channels of communication between employees, and encouraged people to speak their minds: "People here aren't afraid to speak up and debate with Andy." They termed this style "constructive confrontation." According to Grove's successor at Intel, Craig Barrett, "It's give and take, and anyone in the company can yell at him. He's not above it." Grove insisted that people be demanding on one another, which fostered an atmosphere of "ruthless intelligence." About that philosophy, writes business author Ken Goldstein, "you bought into it or got your walking papers." Grove's office was an 8 by 9 ft (2.4 by 2.7 m) cubicle like the other employees, as he disliked separate "mahogany-paneled corner offices." He states, "I've been living in cubicles since 1978 — and it hasn't hurt a whole lot." Preferring this egalitarian atmosphere, this made his work area accessible to anyone who walked by. There were no reserved parking spaces, and Grove parked wherever there was a space. This atmosphere at work was partly a reflection of his personal life. Some who have known him, such as venture capitalist Arthur Rock, have stated that "he has no airs." Grove has lived modestly without expensive cars or an airplane. When he came to this country from Hungary in 1956, he didn't speak English. Yet I learned spelling from him. Not only does he have the instincts of a teacher, but he also has a great deal of patience. One of the earliest investors in Google, John Doerr, called Andy Grove the "Father of OKRs" in Doerr's 2018 book, Measure What Matters: How Google, Bono, and the Gates Foundation Rock the World with OKRs. An acronym for Objectives and Key Results, it became central to Google's culture as a "management methodology that helps to ensure that the company focuses efforts on the same important issues throughout the organization." The objective is the clearly-defined goal, while the key results were the specific benchmarks to ensure achievement of that goal were "measurable and verifiable." In 1975, Doerr wrote of attending a course within Intel taught by Andy Grove, where he was introduced to the theory of OKRs. Grove explained his simple but effective perspective on management: "The key result has to be measurable. But at the end you can look, and without any arguments: Did I do that or did I not do it? Yes? No? Simple. No judgments in it." While Grove naturally supported helping technology startups, he also felt that America was wrong in thinking that those new companies would increase employment. "Startups are a wonderful thing," he wrote in a 2010 article for Bloomberg, "but they cannot by themselves increase tech employment." Although many of those startups and entrepreneurs would achieve tremendous success and wealth, said Grove, he was more concerned with the overall negative effect on America: "What kind of a society are we going to have if it consists of highly paid people doing high-value-added work—and masses of unemployed?" Each company, ruggedly individualistic, does its best to expand efficiently and improve its own profitability. However, our pursuit of our individual businesses, which often involves transferring manufacturing and a great deal of engineering out of the country, has hindered our ability to bring innovations to scale at home. Without scaling, we don't just lose jobs—we lose our hold on new technologies. Losing the ability to scale will ultimately damage our capacity to innovate. All of us in business have a responsibility to maintain the industrial base on which we depend and the society whose adaptability — and stability — we may have taken for granted. Grove was also in the minority of high-tech leaders when he advocated taxing internet sales made to other states: "I don't think electronic commerce needs federal or state subsidies in terms of tax advantages," he told a Congressional committee in 2000. At the same hearing, he also expressed his opinion about internet privacy, stating that "personal data is a form of property and it's inevitable that governments will regulate property rights." He said that it would be better if the federal government established its own uniform privacy standards rather than have states create a patchwork of different laws.
. He also wrote over 40 technical papers and held several patents on semiconductor devices. Grove wrote Only the Paranoid Survive, a business book, whose core message is that a company in pursuit of a stronger competitive advantage never rests. He also taught graduate computer physics courses at the University of California, Berkeley and the Stanford Graduate School of Business. In 2005, Grove made the largest donation that the City College of New York (CUNY) has ever received. His grant of $26 million transformed the CCNY School of Engineering into the Grove School of Engineering. 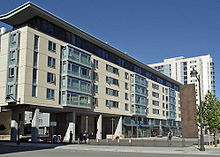 Grove was also instrumental, as a key fundraiser, in establishing the University of California, San Francisco's Mission Bay Campus, the largest ongoing biomedical construction project in the world. Chancellor Sam Hawgood said that Grove's "generous and tireless support of UCSF has transformed our university and helped accelerate our research into breakthrough treatments and better patient care." Among the research facilities which he helped fund were the UCSF Prostate Cancer Center, the Helen Diller Family Cancer Research Building, and the Clinical and Translational Science Institute. He also promoted general surgery initiatives and supported various obstetrics and gynecology research programs. Grove was a longtime member of the International Rescue Committee (IRC), along with being one of its overseers and a member of its board of directors. He was also the founding supporter of the IRC's Pathways to Citizenship program. In 2010, the IRC honored him as one of ten distinguished refugees. In an interview in Esquire magazine in 2000, Grove encouraged the United States to be "vigilant as a nation to have tolerance for difference, a tolerance for new people." He pointed out that immigration and immigrants are what made America what it is. Grove received honorary degrees from the City College of New York (1985), Worcester Polytechnic Institute (1989) and Harvard University (2000). In 2004, the Wharton School of Business recognized him as the "Most Influential Business Person of the Last 25 Years." The 1st Annual Heinz Award in Technology, the Economy and Employment. Grove received the award in 1995, and he was honored by the foundation for representing a story "as old as America: the story of a young immigrant rising to great success." The donors of the award added that Grove "has played perhaps the single most pivotal role in the development and popularization of the twentieth century's most remarkable innovation – the personal computer." On August 25, 2009, California Governor Arnold Schwarzenegger announced that Grove would be one of 13 California Hall of Fame inductees in The California Museum's yearlong exhibit. The induction ceremony was on 1 December 2009 in Sacramento, California. ^ a b c Grove, Andrew S. Swimming Across: a Memoir, Hachette Book Group (2001) Prologue. ^ "Former Intel chief Andrew Grove dies aged 79", BBC, March 22, 2016. ^ a b "Andy Grove, Valley Veteran Who Founded Intel, Dies at 79", Bloomberg, March 21, 2016. ^ a b Gaither, Chris (2001-11-12). "Andy Grove's Tale of His Boyhood in Wartime". The New York Times. Retrieved 2011-02-19. ^ a b Kandall, Jonathan (21 March 2016). "Andrew S. Grove, Longtime Chief of Intel, Dies at 79". The New York Times. Retrieved 22 March 2016. ^ a b Isaacson, Walter (1997-12-29). "TIME: Man Of The Year". Time. ^ a b c Movers and Shakers: the 100 Most Influential Figures in Modern Business, Basic Books (2003), pp. 205–207. ^ "Andy Grove's Last Stand". ^ This statement is corroborated by information shared in his autobiography. See: Rudolf Höss, Death Dealer: The Memoirs of the SS Kommandant at Auschwitz (Amherst, NY: Prometheus Books, 1992), p. 39. ^ "Andrew S. Grove Dies at 79; Intel Chief Spurred Semiconductor Revolution", New York Times, March 21, 2016. ^ Nocera, Andrew (2005-07-30). "From Intel to Health Care to Beyond". The New York Times. Retrieved 2012-04-08. ^ Tedlow, Richard (2007). Andy Grove: The Life and Times of an American Business Icon. Penguin Books. ISBN 9781591841821. Retrieved 1 January 2015. ^ a b c d e "Andrew Grove 1 of the 3 co-founders of Intel Corp", CrownHeights.info, July 18, 2007. ^ a b c d e f g h i j k l "1997 Technology Leader of the Year", IndustryWeek.com, December 15, 1997. ^ Henderson, Harry. Encyclopedia of Computer Science and Technology, Infobase Publishing (2009), p. 218. ^ "Intel's Long Awaited Return to the Memory Business". www.realworldtech.com. Retrieved 8 April 2018. ^ "Former Intel CEO Andy Grove Dies at 79", Wall Street Journal, March 22, 2016. ^ a b Grove, Andrew. Only the Paranoid Survive, Doubleday (1996). ^ Byman, Jeremy. Andrew Grove and the Intel Corporation, Morgan Reynolds (1999), p. 65. ^ Goldstein, Ken. "The Many Lessons of Andy Grove", The Good Men Project, April 26, 2016. ^ a b Doerr, John (2018). Measure What Matters: How Google, Bono, and the Gates Foundation Rock the World with OKRs. Penguin Publishing Group. p. 31. ISBN 9780525536239. ^ a b Doerr, John (2018). Measure What Matters: How Google, Bono, and the Gates Foundation Rock the World with OKRs. Penguin Publishing Group. p. 12. ISBN 9780525536239. ^ Doerr, John (2018). Measure What Matters: How Google, Bono, and the Gates Foundation Rock the World with OKRs. Penguin Publishing Group. p. 33. ISBN 9780525536239. ^ Doerr, John (2018). Measure What Matters: How Google, Bono, and the Gates Foundation Rock the World with OKRs. Penguin Publishing Group. pp. 8–9. ISBN 9780525536239. ^ "Former Intel CEO Chairman Andrew Grove Dies at 79", Fox Business, March 22, 2016. ^ "Andy Grove’s Warning to Silicon Valley", New York Times, March 26, 2016. ^ a b "High-Tech Chiefs Lobby Key Issues at Capitol Hill Hearing", Computerworld, June 12, 2000, p. 8. ^ a b c Koven, Steven G.; Gotzke, Frank. American Immigration Policy: Confronting the Nation's Challenges, Springer Science (2010), p. 81. ^ Best, Roger (2013). Market-Based Management. Upper Saddle River, New Jersey: Prentice Hall. p. 195. ISBN 9780130387752. ^ Hershenson, Jay; Arena, Michael (October 28, 2005). "Intel's Grove gives $26 million to CCNY'S school of engineering". News Report. CUNY Newswire. Retrieved September 30, 2016. ^ a b c "UCSF Mourns Loss of Andrew S. Grove (1936-2016)", UCSF, April 1, 2016. ^ "Remembering Andrew Grove, IRC Overseer and champion of refugees", Rescue.org, March 30, 2016. ^ The Heinz Awards, Andrew Grove profile. ^ "IEEE Medal of Honor Recipients" (PDF). IEEE. Retrieved November 20, 2010. ^ CEO of the year 1997 Archived 2016-04-04 at the Wayback Machine. ^ "David Packard Medal of Achievement — Previous Winners (1959 to Present)". TechAmerica Foundation. Archived from the original on 2011-07-19. Retrieved March 14, 2011. ^ "IEEE Ernst Weber Engineering Leadership Recognition Recipients" (PDF). IEEE. Retrieved November 20, 2010. Tim Jackson (1998). Inside Intel: Andy Grove and the Rise of the World's Most Powerful Chip Company. Plume. ISBN 0-452-27643-8. Richard Tedlow (2006). Andy Grove. Penguin. ISBN 978-1-59184-139-5. Wikimedia Commons has media related to Andrew Grove. Andrew S. Grove 1936 – 2016 from Intel. Andrew S. Grove Biography, Engineering and Technology History Wiki. "Andrew S. Grove collected news and commentary". The New York Times.